A dual band DMR radio is something that has been on many people's wish lists for quite a while now. 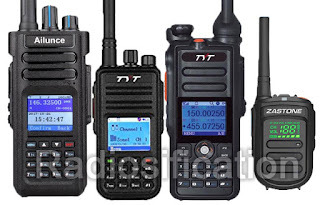 The first dual band DMR radio to be released is the TYT MD-2017, but should you buy it now? My opinion is maybe not. 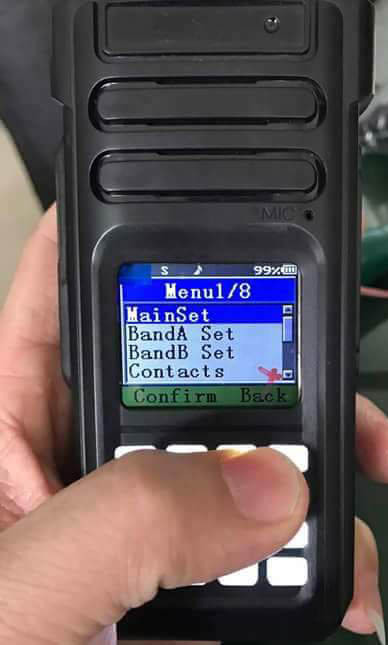 Although TYT is the first manufacturer to come out with a dual band DMR radio, it definitely will not be the only one for long. Ailunce (part of Retevis) is working on a radio called the Ailunce HD1 which is expected to be released around mid June 2017. 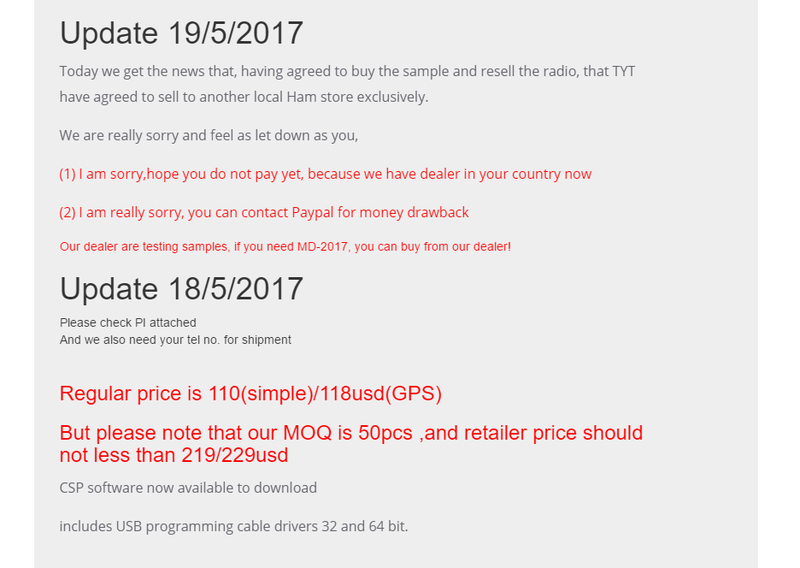 With the release of this radio, the TYT MD-2017 may have to drop its price to compete, so if you can wait a couple of months, you may save yourself a good amount of money. If we look at the trend with earlier Chinese-made DMR radios such as the TYT MD-380, we see that the price started off high but decreased as more similar radios came onto the market. Especially since TYT is forcing retailers to sell the radio at a fixed price right now, the prices should come down significantly once there is some competition. Not counting the Baofeng DM-5R and other "fake" DMR radios (see this post), the release of the Ailunce HD1 will bring the number of dual band DMR radios on the market to two, and inevitably more will follow. 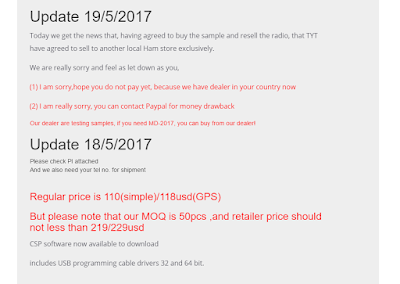 A post on Trilogy's website suggests that TYT may be engaging in resale price maintenance with radio dealers in the UK and possibly worldwide. Is this legal in the UK? A review of online documentation would suggest not. Resale price maintenance (RPM) is defined by the Competition and Markets Authority: "RPM is where a supplier and a retailer agree that the retailer will not resell the supplier’s products below a specified price." Note: I used the term price fixing in the title of this post. Technically retail price maintenance is not the same thing as price fixing, however they are both actions that harm the consumer by causing a price not to lower with competition. Both of these practises are illegal in many countries.